Even vampires need a little love on Valentine’s Day. Picture: liloved1/DeviantArt. Being a vampire in this day and age is hard, but being a vampire in love is down right difficult. Valentine’s Day rears its ugly head once a year and anyone in a relationship feels the stress of buying that perfect gift for their significant other. Most of you will bravely wait in massive line-ups tonight at overcrowded restaurants for a celebratory meal. We can’t help you with that, but we can help you with some last minute gift ideas for that special vampire in your life for the big V. Vamped took the liberty of tracking down some vampire goodies so without further ado, let’s go shopping. Get your very own Dracula orchid: Dracula vampira Bela Lugosi. Picture: Bill Robson/Flickr. Sure you could go for something cliche like red or black roses, but why not try something with a little more flair? 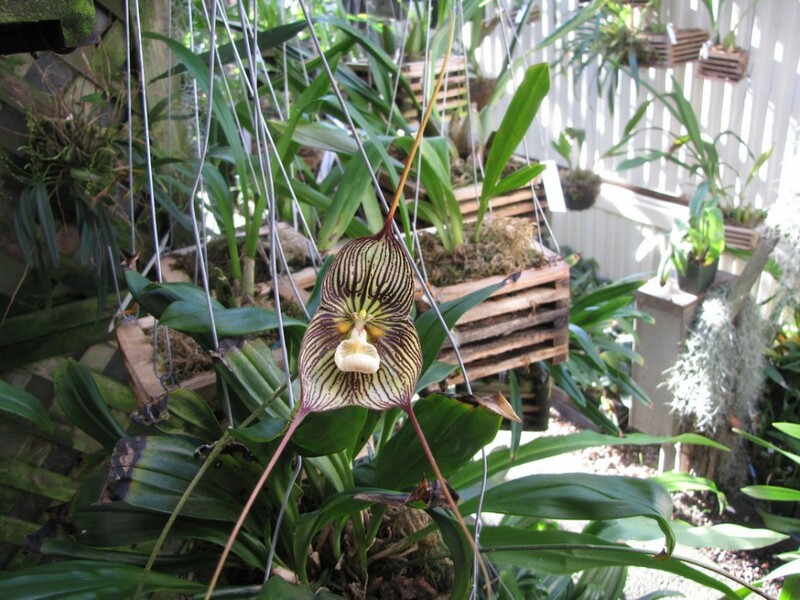 Hawk Hill Orchards in Pacifica, Calif., sells a vast array of Draculas orchids. They are available in all sorts of shapes and colors boasting unique names like Dracula vlad-tepes, Dracula vampira Bela Lugosi and Dracula vampira Cordelia. Prices vary and orders can be placed online. But these guys only ship to the United States and Alaska due to import and export laws. This handmade bad boy vampire teddy puts all regular bears to shame. Decked out with his stylish leather jacket and blood covered sweater, he is sure to please your lucky lady. He comes with a lifetime guarantee and a “gourmet candy treat” as a bonus. Yours for US$89.99 plus shipping. Luv at First Bite, fun for all the family! Or maybe not. Picture: MFKS Games. Why not spend a night in and get a little frisky, vampire style. With Luv at First Bite you can “Venture into the night with this adult board game for couples. 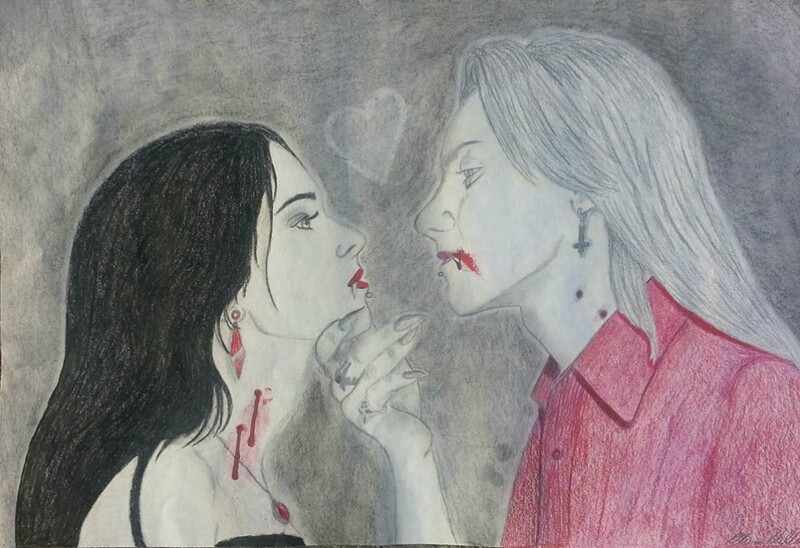 Luv at First Bite sets the mood for a roleplaying journey involving vampires.” This game promises to get the blood flowing in more ways than one. The price comes in at US$24.95, but they mention you will need some additional accessories that are not included. If you aren’t already stocked up, you may have to reach deeper into your pockets on this one. This cute little card by Hanson White has it all; vampires, bats and hearts. You can pick it up on Amazon for only US$8.40 plus shipping. The shipping may pose a problem if you have left things to the last minute. In that case, you can always use plan B: sign up for a membership on JibJab and order an animated vampire card. Basic memberships are free, but you can only access a limited quantity of cards. The premium one for US$18 per year, gets you unlimited access to everything or you can pay US$4.99 a download. This one might be a bigger hit because you get to personalize it with the faces of your choice. Feel free to include the two of you, or appeal to your loved one’s fandom obsession and put Elena or Damon from the The Vampire Diaries in it. Hell, you could use Edward or Bella too. The possibilities are endless. 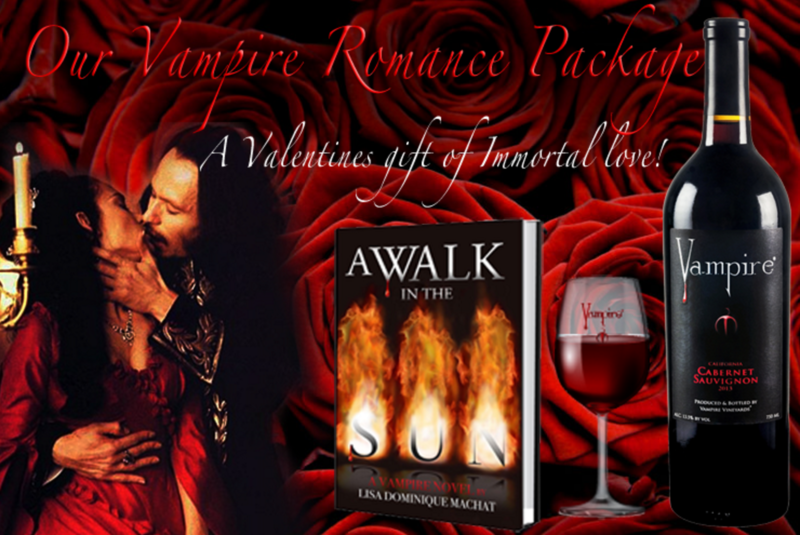 Your vampire’s heart will bleed when you give them a Vampire Romance Package: “a bottle of Vampire Cabernet, a Vampire Wine Glass and a copy of ‘A Walk in the Sun’, a vampire novel included to share with your favorite immortal”. Not a bad deal for US$39.95. They only ship to thirty-six American states, so make sure to check the website before you place your order. If buying gifts isn’t your thing for Valentine’s Day, another alternative is snuggling up on the couch with a bowl of popcorn and a good old vampire flick. Who knows where the night might take you and you might end up sinking your fangs into something else besides snacks.